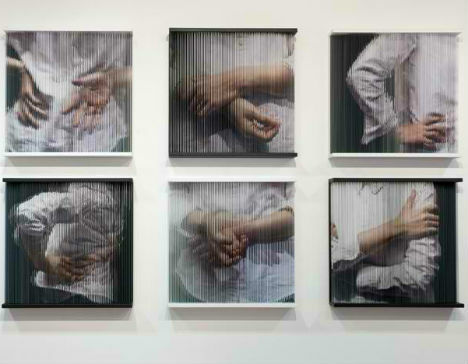 Hundreds of printed elastic strings come together to create strange and startlingly realistic portraits of human faces and limbs in this series by Hong Sung Chul. 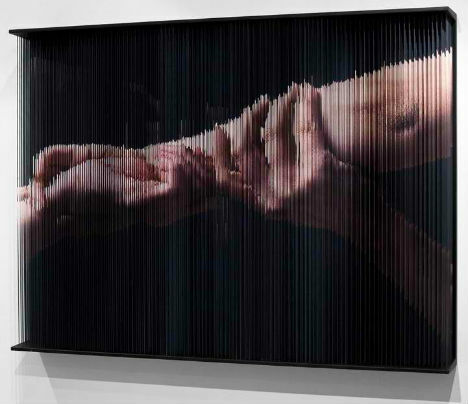 The South Korean artist creates layered compositions by stringing the cords between two platforms; the resulting images change and shift depending on one’s perspective. Calling to mind lenticular images, which use a rippled surface to create images that change from one point of view to another, Sung Chul’s three-dimensional sculptures don’t quite come together unless you’re standing in a particular spot. A graduate of the California Institute of the Arts, Sung Chul uses his art to promote interaction with viewers. 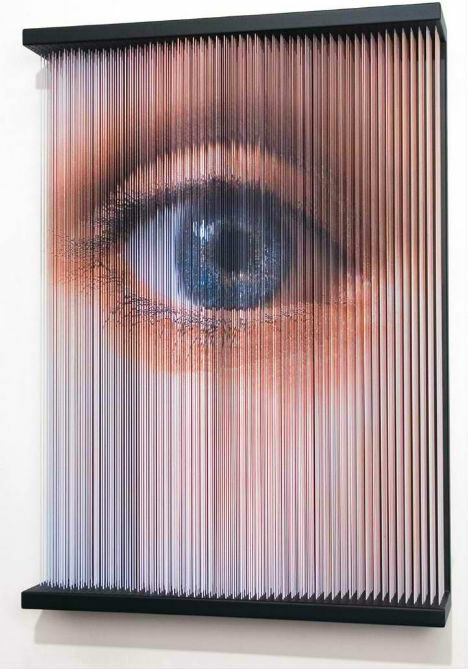 The artist’s current string series of printed portraits almost have a sense of voyeurism to them, as if the various body parts depicted are being glimpsed between window blinds. 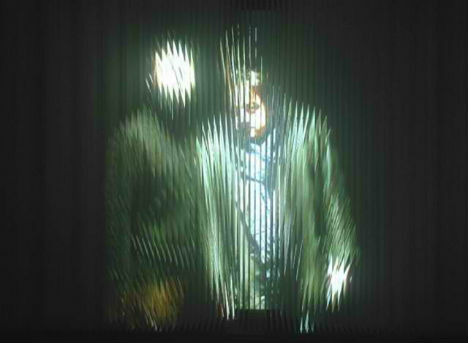 An earlier project, called ‘String Mirrors’, used a video camera and projector to cast viewers’ own images onto the strings.